With Visit Musi 2008 !!! 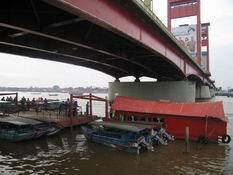 , the Palembang city government is working hard try to compete with tourism success stories of the Chaop Raya in Bangkok or the Delta Mekong in Vietnam, which has long been promoted as a tourism destination. 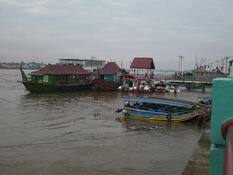 The houseboats lining the riverbanks of Musi river are beautifully and brightly painted. 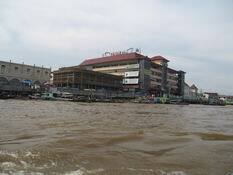 The loading and unloading of ships, and the rental speedboats, Keteks and Sampans awaiting passengers and cargos heading to various in or outer destinations of South Sumatra, create the dynamic and a lively scenery at the Benteng Kuto Besak, Boom Baru Harbor or Pasar 16 Ilir Pier/Terminals and surroundings.